At Service That Sells! powered by Ready Training Online, our extensive online restaurant training library includes our staple service and sales training as well as topics covering safety, compliance, food safety, back of house procedures, and much more. We specialize in developing engaging and relevant training for the restaurant industry. Build your own custom training program by choosing the topics that you and your staff need the most. Our training is designed to deliver a comprehensive, detailed, and focused curriculum in short interactive bursts of training. Browse our main training series below which are then further broken down into related focused workshops. Our suite of restaurant training for employees improves service, increases sales, and strengthens teamwork. Series include Service & Sales Excellence, Cycle of Service, Operations, Back-of-House, and Human Resources. Click here to explore our online restaurant staff training programs. Protect your guests and your business with SURE™ food safety training. Now available online through Service That Sells!, this program was designed specifically for the hospitality and retail industries. 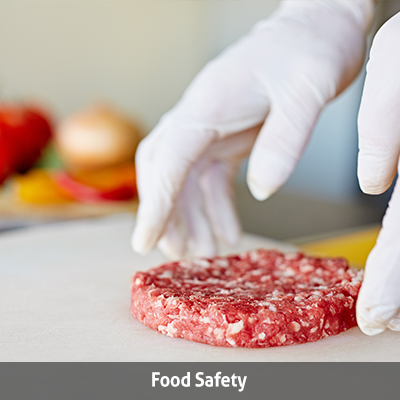 Click here to explore our online food safety program. For more than a decade, RTO has been a leader in e-learning, specializing in training for the service industries. Our trainingGrid™ LMS platform delivers engaging and relevant online restaurant training to thousands of users across the globe. Our unique approach to e-learning for restaurants is focused on Career Progression™. When blended with traditional on-the-job training and mentoring, our e-learning system helps employees master the knowledge and skills they need to perform their jobs effectively and efficiently while also supporting company objectives. Everyone wins with a comprehensive restaurant training program. Guests receive exceptional service and a more enjoyable dining experience. Servers work more efficiently, deliver better service, and make more tips. Teamwork excels as the front and back of house staff learn to work together. Profits grow with increased guest loyalty and higher sales. At Service That Sells! we understand that training is the key to happier guests, happier team members, happier managers, and happier owners!